Eastbourne & Wealden Bonsai Club is holding a Bonsai Show on Saturday 16th June. At Stone Cross Manorial Hall, Hailsham Road, Pevensey, East Sussex, BN24 5EH. 10am till 3pm. Come and see our members trees, experienced and novices. Demonstrations are taking place throughout the day. Stands include: Getting started in bonsai and how to look after your trees, Downsview Bonsai Nursery and advice on ponds from Eastbourne Pond Club. Long time no speak. How have you been? 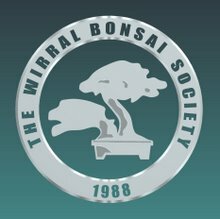 Wirral Bonsai Society is looking to keep in a good shape on the blog!! Here is a thing that I would like let you know about. We are holding 2 Japanese events on 18th, Aug at Wallasey Central Library and on 13th, Oct at Birkenhead Central Library. Both events are held 10.00-12.30 and 14.00-16.00. There is a break inbetween. The scale would be almost the same as the last year's. That would be great if we could have your works or workshops about Bonsai at the event. Would you guys be interested in taking part in those event? Whether or not you could take part in the event doesn't have to be final at this point. So please just let me know if you are interested in it.